A teacher is a person who imparts knowledge in students, guides them, inspires and motivates them to strive for greatness. A teacher is also that person who influences the children’s development apart from the family. Teachers typically serve as role models to the student as they are the only people students spend most of their time with. Teachers, on the other hand, try to build a warm environment for students in the classroom, mentor them and nurture them. The most common role played by a teacher in the classroom is standing in front of the students and lecturing, however, teachers are here not only to teach and infuse knowledge in children. Though teachers spend a majority of the day in the classroom, it does not implicit that teaching is the only part of their job. Apart from ensuring the school management that the school day runs smoothly and all the students receive a quality education, a teacher has several other roles to perform. The chores that a teacher in a modern school has to fulfill include performing duties like marking attendance, grading report cards, timetable scheduling, etc., on a daily basis. These mundane tasks often performed by teachers are time-consuming and demand complete focus on the above for error-free results. Having realized the difficulties that teachers face while executing these tasks on a regular basis, has motivated and inspired MyClassboard to develop a complete classroom management software solution for schools that have each and every feature a school needs. Classroom management software proposed by MyClassboard offers time-saving resources for teachers in classrooms. The classroom resources by MyClassboard that save the precious time of teachers are school attendance software, grading software, scheduling software and the mobile app for teachers. School Attendance Software: The manual process of taking attendance and registering it in stacks of files is a tedious job and can be sort of damage to the school management too. It can not be ensured whether the manual data entry is error-free and managing this record in files is often prone to data loss. To cover the loopholes, there was much obligation for a student attendance software that maintains the school with a perfect attendance system. The student attendance software customized by MyClassboard helps the teachers to mark the attendance of all students in the system effortlessly. Making it further easier for teachers, MyClassboard enables teachers to mark the attendance through the mobile app by logging in with their unique id. Grading Software: The gradebook tool empowered by MyClassboard generates report cards, calculates grades and also displays the grades online. The gradebook application enables the teachers to upload the marks or grades of students using offline methods also. Teachers can prepare an analysis report of individual student performance, subject-wise report, class-wise report, etc. Teachers can further use these reports to easily identify and recognize which student is lacking behind and needs additional assistance. Depending upon which, they can mentor those students who need extra attention and grooming. Scheduling Software: Timetable management system in any school or college is a hectic job as it requires more manual power, paperwork, and it is a time-consuming process too. Creating school academics schedule, students’ schedule, teachers schedule and scheduling classes for each grade level are often burdensome and uncertain. School schedule software is a timetabling tool that meets the needs of teachers to perform the task with an ease, saving the time and resources of the organization. The scheduling software helps the teachers in creating the timetable for each class easily and effortlessly within in no time. 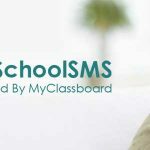 Mobile App for Teachers: MyClassboard teacher app is an exclusive mobile app designed for teachers that make everyday classroom tasks like attendance, marks, assignments etc., simple for teachers. Using this mobile app, teachers can upload class diary, assignments, mark daily attendance of every individual student, mark events in the event calendar, upload photos related to various events, update and intimate parents with the upcoming events, circulars or notices beforehand. Teachers can also communicate with parents by sending individual notices or SMS using the mobile app. Technology today becoming an important ingredient in education, many schools started adopting it to their curriculum. The classroom management software is one such product for teachers that comes with extensive benefits. Teachers now don’t have to take time out of their busy schedule to perform the daily routines. The MyClassboard classroom management software helps teachers to carry out the everyday classroom activities with efficacy. Teachers can monitor the student’s’ attendance and track the attendance of each class conveniently with relative ease. There is no need for teachers to manually calculate grades as the school grading software does automatic grade calculation based on your preferred grading scale. Teachers can now create the timetable for each class effortlessly and upload assignments or homework using daily diary. The classroom management software helps the teachers in improving the academic performance of students. Earlier, teachers who spent hours of their precious time in processing the school operations can now utilize it in focusing more on teaching and imparting knowledge in students.